how does this project go, any eta on release yet ? Release ETA: by end of year, 2018… that must be according to Tet. When will the FW3C (copper) list start? Right after the FW3Br list and the FW3Ti list. I’m interested in one! Looks amazing. Au scratches pretty easily, but I’m sure the hand feel is nice, and the thermal conductivity is superb. As a much harder alternative that also takes a very nice polish, how about an FW3WC (Tungsten Carbide)? On the other end of the scale, the FW3Mg would be roughly 1/3 lighter than the FW3A, yet still has pretty decent thermal characteristics. Be careful around open flames, however. FW3Au available for the low budget price of $15,000? FW3Mg available… just make sure to avoid a battery short in the tube as it will get hot, HOT, HOT! How long before FW3Be and FW3C? The first FW3A has to be successful before there are thoughts of making other versions. The 3 preposed versions are brass, copper and titanium. Nothing else. What…. , no Au!! ……. I am devistated….. . Soon. No dates have been set. I’m keen on the arrival of this. Built my own triple xpl-hi in my A6 thats anodized blue today, worked out pretty well with home made copper spacer and a crude old soldering iron. I’m keen on the arrival of this. Built my own triple xpl-hi in my A6 thats anodized blue today, worked out pretty well with home made copper spacer and a crude old soldering iron. How can we bypass them and get someone else to take over? what do u mean, fritz is the guy who is doing this light no, why should someone else take over his work ? Prob because time. No progress. No information from the man. I made something similar with my bare hands in about 14hrs. What’s the hold up? No wonder people are calling for mutiny! /\ … +1 .. . Well stated CRX. fGW3A ….. I kinda like it. Fritz15 did start this, but this project has been pretty much on hold waiting for him to give the “OK” since he received the second prototype back on JUNE 8, 2018. He hasn’t posted in this thread since JUNE 30, 2018. However, he does log in every few months, but never comments, doesn’t update, and very rarely responds to PM’s. Last I heard we were waiting for him to determine what needs to be fixed with the second prototype. Cawi was supposed to get a second prototype as well, and he last posted AUGUST 20, 2018. I believe we have been waiting on his input for the second prototype as well. At least SST-20 flavour of D4 is now available.. I checked over at TLF, Cawi hasn’t signed in there in 12 weeks 3 days. Fritz’s profile doesn’t say his last login. Our designers are MIA! First it has to actually exist, and be deemed a success. Which seems to be taking a very very long long long time, for unexplained reasons. Time is money. Time to market is vital. Employees need to be employed actually making things, expensive machinery needs to be worked hard, marketeers need something to market, distributors something to add to their catalogue, stock, and figure out delivery methods, warranty and returns methods and likely statistics for an unproven un-reviewed un-field-tested product (warranty and returns cost vastly more than the slim profit from the initial sale), suppliers need to be set up in a chain to supply components (before they go obsolete, and if you want to cherry-pick the best variants you need a good relationship built up with an experienced buyer over the years to access them, others also want them) and to be paid promptly. Nevermind the BLF design consultants in hardware, firmware, and other matters, who either do it pro-bono or for reward for their skills, but either way designing something that doesn’t actually happen is a sterile and unsatisfactory thing, and perhaps future invitations to participate might be less welcome. All of these people have to be co-ordinated, convinced about the project, kept excited (regular communication, even if there’s nothing really to say), see progress and light at the end of the tunnel. Including we consumers. Oh, and the manufacturer needs to be convinced that this is likely to be a commercially viable ongoing project that will run long after the BLF and TLF people have bought their thousand or two (they’ll never get rich from us). And very publicly decided what they think of it. Things have to be really good here if the negative reports are not to outweigh those who are quite satisfied. It’s just human nature, people with problems, real or imagined or existential are more likely to reach out on forums such as this than those who are happy enough, and a quick Google will usually go straight here. I’m guessing that Lumintop have better things to do with their time and energy at the moment, and that this thing is looking increasingly un-interesting to them. The distribution of the latest two (yes, only 2) prototypes to the wrong people seems to me to be indicative of their disdain. It is not in their culture to speak clearly and plainly, but the message should be understood anyway. Things get old very quickly in this game, and this is already looking very old. E.g. Jaxman has been making a conservatively designed triple for a while now, Sofirn have their own ideas. Fireflies have their bonkers ideas. I only have so many years left to live, and waiting around for this to maybe happen is not my priority. I do actually think that the fundamentals are there. The driver, with two banks of 7135s looks very interesting, a triple using respected readily available TIRs in different varieties for easy experimentation (assuming it’s not glued up or press-fitted), also good, not over-done in the madness of stuffing in stupid numbers of emitters, sensible 18650 choice. An opportunity to evaluate Anduril, hopefully tuned and integrated with the hardware, LED selection and thermal properties, in a commercial product, also of interest. It’s the mech.design with twin tubes and tail e-switch that has always bothered me, as well as the cheapening of the purity of design and finish, not so sure how well that is going to work out, if ever, but still keeping an open mind. It is one thing to make a few by hand with a lathe in a shed and hand-fit them individually at premium price for enthusiasts, quite another matter to make thousands, to be assembled quickly by lesser-skilled people from standard toleranced parts, then send them out with warranties and return policies. Perhaps better to just take the decent driver and firmware and ask someone like Convoy to put them into a side-switch design, could probably all be done and dusted in a month or two, instead of at this glacial pace. As for brass, Cu or Ti versions, not sure what would be the point. Firstly they would have to have a much finer surface finish than the proposed bead-blasted Al with questionable anodise to be attractive. But if they can do that, then why not also the Al version ? 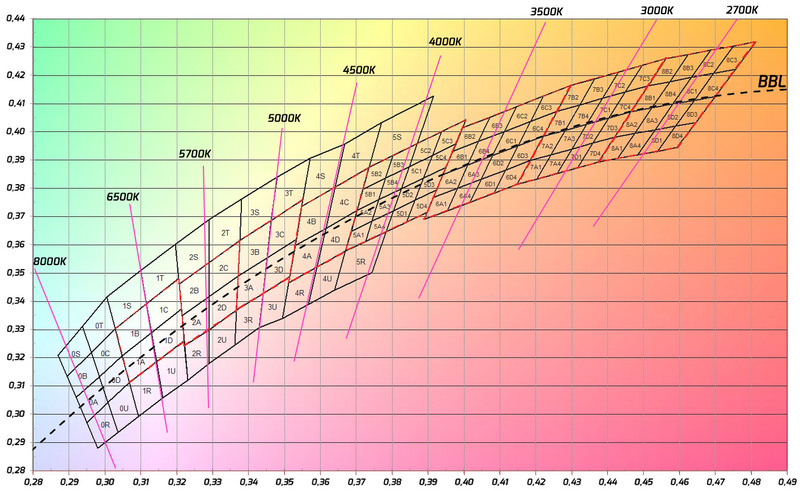 Then the brass or Ti versions would be much more thermally challenged, and massively heavier (yes, even Ti is much more dense than Al, look it up https://www.engineeringtoolbox.com/metal-alloys-densities-d_50.html, and also study thermal conductivity and thermal mass whilst you are there). Copper does has some redeeming properties, thermally and electrically, but also at the expense of mass, cost, durability of threads, and you have to like patination, etc. I do like these materials in tiny sensibly powered torches, the little Olights etc. where their inferior properties are less relevant, but their aesthetic properties can be appreciated. Not so much in an 18650 tube size, or even bigger. A good Al alloy, finely machined, natural surface finish demonstrating quality machining, with a high quality clear anodising is absolutely the best way to make a torch. But that’s not what we are going to get here, even though it was the whole point of the thing originally. Maglite have been doing this for decades. Despite what you might think of other aspects of their conservative designs, I think that the alloy used, machining and finishing is excellent, particularly considering the modest prices. Standards there have not slipped, if anything the current ones are even better than the older stuff. If they can still do this, in the USA, and sell worldwide, presumably profitably, surely other countries can strive to attain the same standards. Instead of just using the poorest alloys, pushing the CNC feed rates to the max, only changing the cutter inserts when they are totally worn out and chattering, then covering the mess over with bead-blast and poor soft thin darkly coloured anodise. You say that so confidently. Soon. Please explain your sources of information, or connection with the project. I am intrigued.